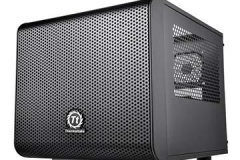 Thermaltake has sent us the both largest and smallest cases we have seen this year. 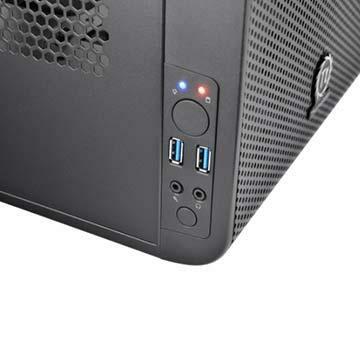 The previously reviewed Core V71 is big and imposing – It basically yelled out “I’M HERE!!”. 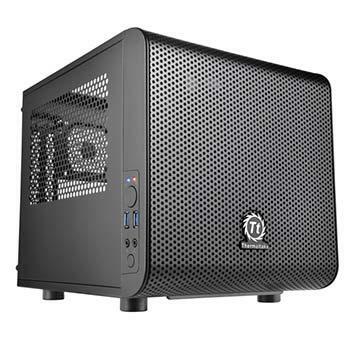 In contrast, the Core V1 has the smallest desktop footprint of any case I’ve ever seen and kind of whispers “psst.. hey… over here”. 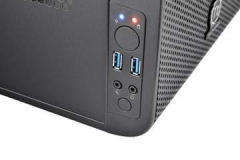 From the styling, the two cases are clearly from the same family and it’s good to see the designers scale so well. 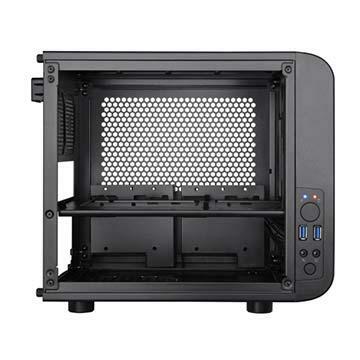 The Core V1 is a mini-ITX case designed to use more vertical desk space thus saving on the horizontal footprint by making it only 316mm deep. 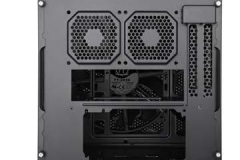 The maximum video card length is 285mm so it’s going to fit beastly gaming cards. 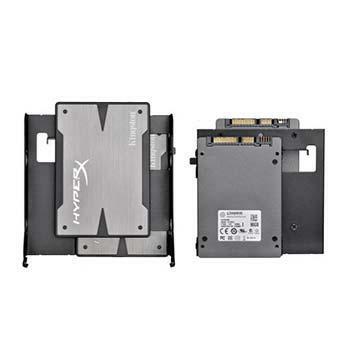 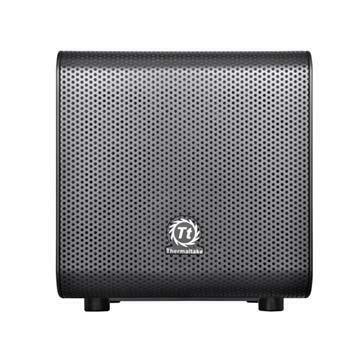 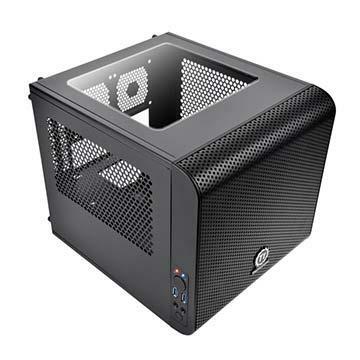 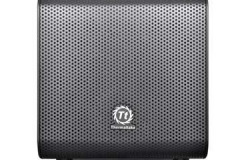 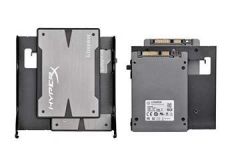 Thermaltake has made it pretty clear through their marketing and product information that this is a small form factor (LAN) gaming case as opposed to a NAS or office small form factor workstation. 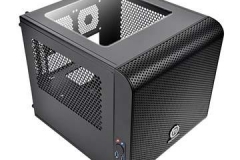 We have already seen some pretty powerful mini ITX configurations this year in terms of size to performance ratio and the Thermaltake Core V1 makes a real difference in terms of the performance components that it can hold. 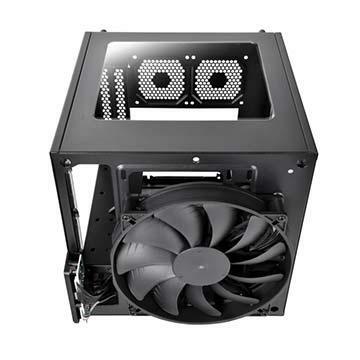 This is one of the strengths of the Core V1 – there are very few limitations for the system builder with this product, in fact we only saw one and it was of little consequence. 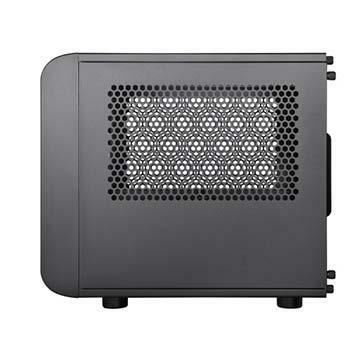 The Core V1 is a neat little unit and as I found out during the practical build, it is also very easy to work with despite being compact. 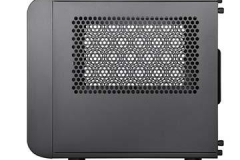 The features are balanced between practicality, price and aesthetics. 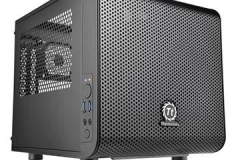 You can downsize from a full ATX build without having to replace everything. 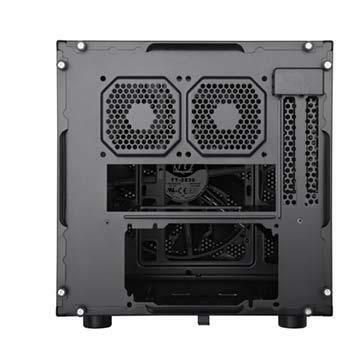 The Core V1 takes both a full size ATX power supply AND full length graphics card at the same time. 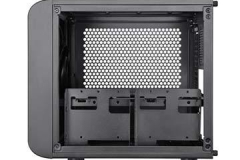 There are holes you can use for zip tie anchor points all over the case to keep it neat. 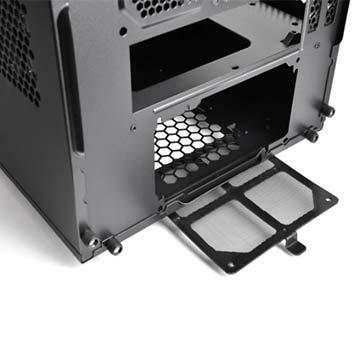 Five of the 6 panels of the case are removable for easy access during the build. 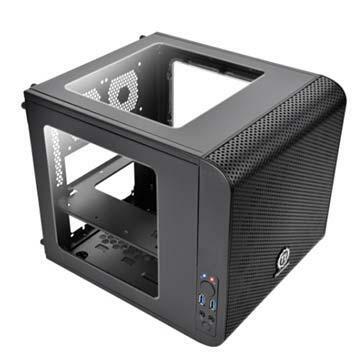 When I looked online, I saw the Core V1 for $59 and thought it was a typo, that’s seriously good value and a must have for anyone building a mini ITX on a tight budget. 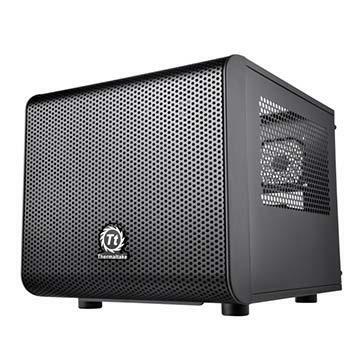 At this price, it isn’t a big deal to trick it out with some new LED fans or an AIO (All-in-One) water cooler with the money saved. 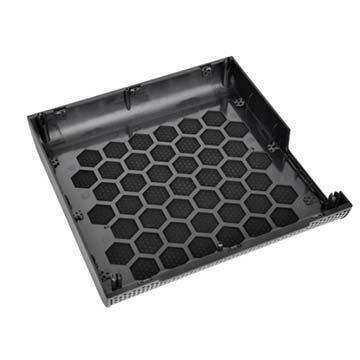 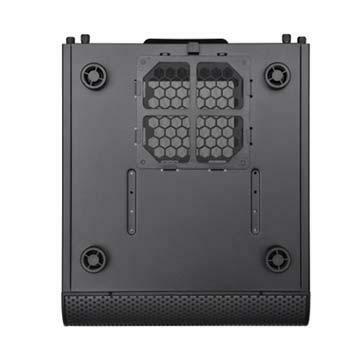 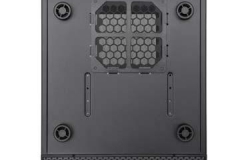 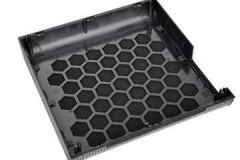 Thermaltake has left a few things out like PCIE and drive bay thumb screws, LEDs, a fan controller and although there are mounts for 80mm fans, the fans are not included. 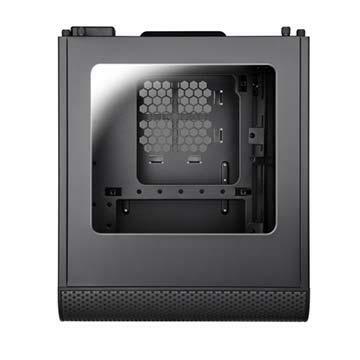 Having now built a gaming rig in the Core V1 as part of the review, I think these were smart omissions because the average LAN gamer either won’t need them or will want to personalise their build beyond ‘stock’ anyway. 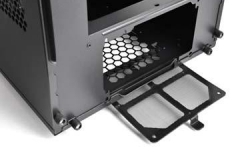 Thermaltake were true to the Core series styling and also kept the aesthetic design really simple. 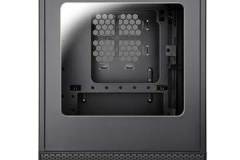 The Core V1 is almost square, has the trademark curves on the removable front panel and it’s black. 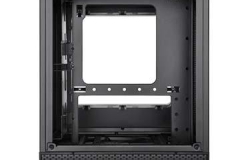 There are no other colours or themes, and one window (that you can place on the roof or either side of the case). 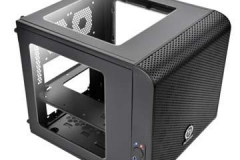 Whilst the case is fine as it comes out of the box, it is also a good starting point and suitable to be personalised or more seriously modded. 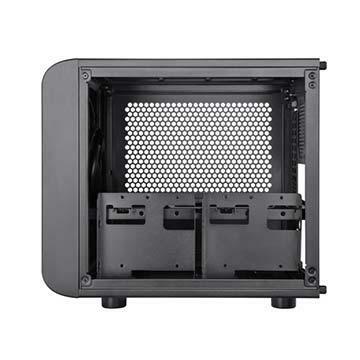 Internally, the case is all powder coated black with black screws, zip ties and front IO cables. 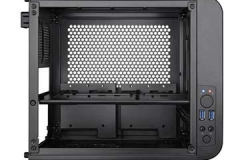 In our test build I deliberately used a white standard sized power supply to show how much space there is to work with. 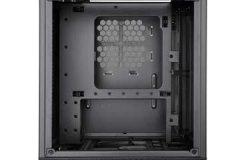 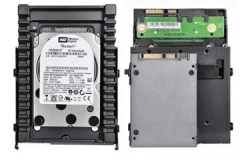 In the image gallery below, note the large CPU cut out, dust filters and vertical mounted drive cages. 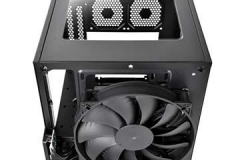 The big 200mm fan mounted at the front is quiet but also very effective at moving air through the chassis. 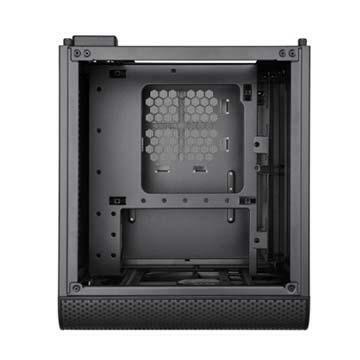 It’s hard to describe the size of the Core V1 and although you can read measurements to get an idea of how it compares to other cases it’s easier to see in the gallery below where we’ve lined it up against the Node 304 (mini ITX), Node 804 (micro ATX) and the Define R3 (Standard ATX). 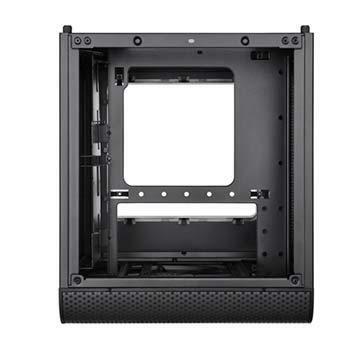 If you have an ATX case, this should give you an idea of what to expect if you are considering downsizing.